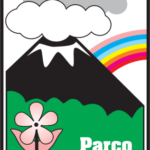 RECOMMENDED EQUIPMENT : Trekking shoes - 1 L of water - lunch bag* - windbreaker or quilted jacket - layered outfit . VTHE EXCURSION IS SEVERELY FORBIDDEN TO PEOPLE SUFFERING FROM PARTICULAR DISEASES : CARDIO VASCULAR ONES, BREATHING ONES OR HYPERTENSION. DISTANCES : This itinerary is 47 km far away from Taormina and 54 km far away from Catania. 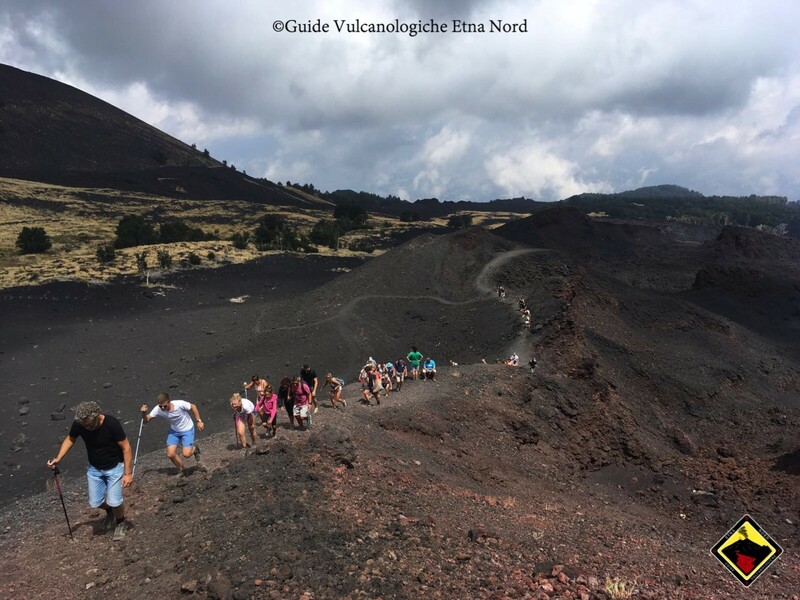 The excursion to the Monti Sartorius is one of the most popular excursion for the path's simplicity and for the possibility of going across the whole eruptive fracture for 3 km of length. 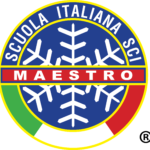 The starting point of the path is easy to recognize, because it is located less than a kilometre from the street that leads to Rifugio Citelli and it is reported on the right side of the street by a road sign which says "Comune di Sant'Alfio - Monti Sartorius s.l.m. 1667m" and by a green barrier. 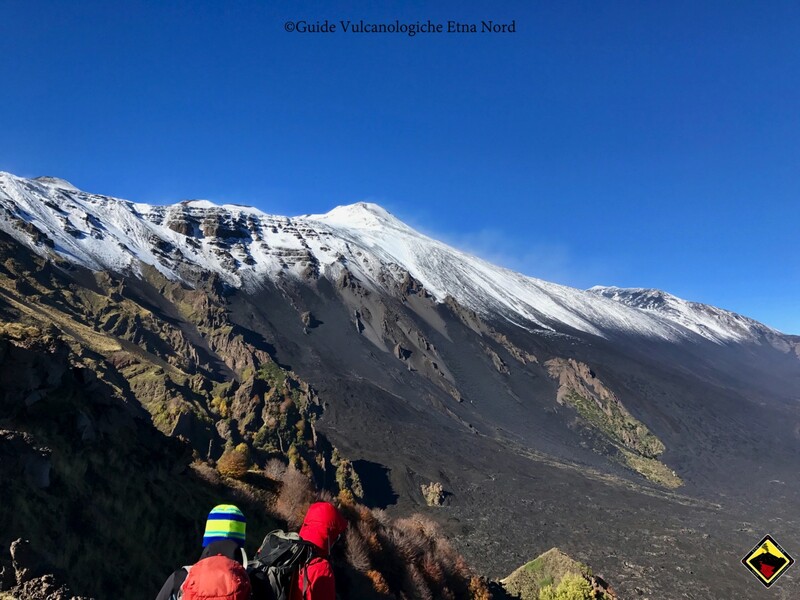 The path develops inside a little wood of pines and birch, endemic species of the Etna, and then it comes up in a plateau, constitued by small plants (also endemic), lava flows and pyroclastic products (bombs, scoria and ashes) till we arrive at the craters' basis. At the end of the uphill it will be possible to admire the craters, the panorama constitued by the huge lavic flow, the pine forest of Linguaglossa and, if the visibility is good, it will be possible to look over the Ionian Sea. Behind us, instead, the protagonists will be the whole adventitious cone of Monte Frumento delle Concazze and the northern side of the Etna. Possibility of making the lunch break into Rifugio Monte Baracca, managed by Linguaglossa's CAI, 1 kilometre far away from Monti Sartorius. 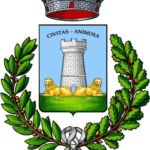 DISTANCES : This itinerary is 48 km far away from Taormina and 49 km far away from Catania. The path "Schiena dell'Asino" is surely the easiest among those that allow You to reach and admire the amazing view of Valle del Bove. You can easily find the starting point of the path, going through the SP92 (Provincial Street 92) that from Zafferana Etnea leads to Rifugio Sapienza, and stopping in front of the cross of the street that rises from Nicolosi (Via Catania) and Pedara (SP Salto del Cane). In corrispondence of this cross there is a little square that allows to park some cars. Sorrounded by pine and broom plants, we start the excursion, overcoming a green barrier. Initially the path will be done on dirt road, then on an easy path, sorrounded by endemic plants from the Etna. 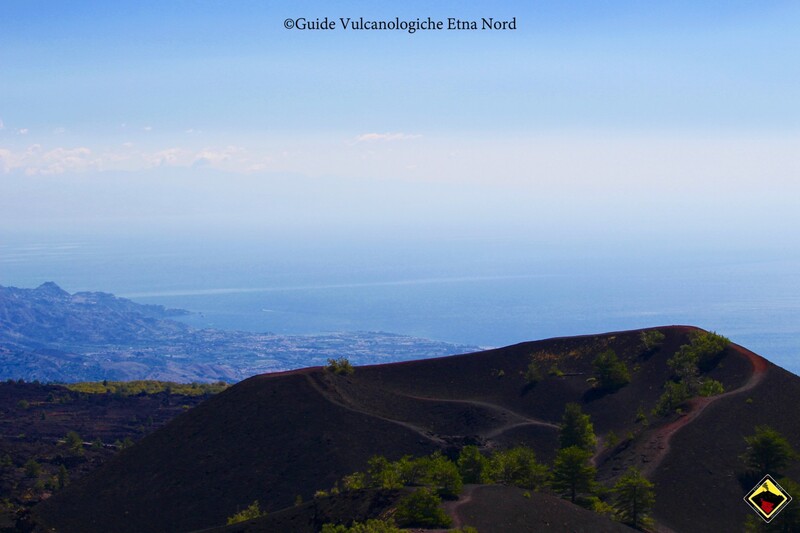 During the trail it will be possible to admire the Gulf of Catania, the Ionian Sea and the ancient craters that constitued the southern portion of the Etna. Arrived at the edges of Valle del Bove, You will be literally kidnapped by its greatness. From the panoramic point You can enjoy the several volcanic formations and morphologies, the recent lava flows and the Summit Craters, together with the majestic and impressive cone of the South East Crater. The downhill path will be done along the same route (it may vary) used for the uphill. DISTANCES : This itinerary is 56 km far away from Taormina and 34 km far away from Catania.